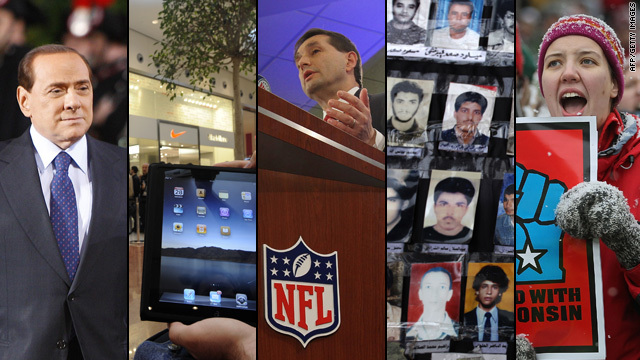 This is the 31st case, and it was shown Monday night on HLN. 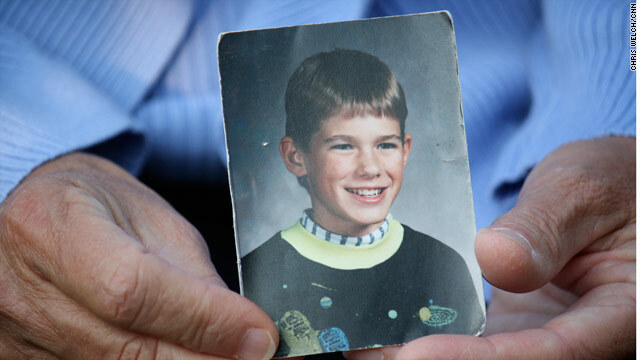 Jacob Wetterling's family has not seen him since he was abducted at gunpoint in St. Joseph, Minnesota, in October 1989. He was 11. His brother and his best friend witnessed the abduction, according to his mother, Patty Wetterling. After Jacob's abduction, Patty Wetterling became an advocate for families of missing children, helping to build Team HOPE (Help Offering Parents Empowerment), a parent-to-parent mentoring program. She also headed the sexual violence prevention program at the Minnesota Department of Health in St. Paul. Galyna Kolotnytska (center) was photographed outside her apartment in Brovary, Ukraine, on Sunday. A Ukrainian nurse whose employment by Libyan leader Moammar Gadhafi was famously described in a leaked diplomatic cable is trying to avoid the media's glare upon her departure from the North African nation. Galyna Kolotnytska, who returned to Ukraine over the weekend amid the uprising in Libya, spent Sunday and Monday at her apartment in Brovary, about 15 miles east of Ukraine's capital, Kiev. Footage from Russian TV channels on Monday showed reporters gathered outside, trying but failing to get her to talk to them. CNN also has attempted to reach her, but her daughter said Kolotnytska is not speaking to reporters. Kolotnytska gained notoriety in November after WikiLeaks released a cable from the U.S. Embassy in Tripoli describing Gadhafi's almost obsessive reliance on her. Some users of Google's Gmail were surprised by what they saw when they checked their accounts over the past day. Google nukes thousands of Gmail accounts: Imagine opening up your e-mail and finding years of correspondence gone. 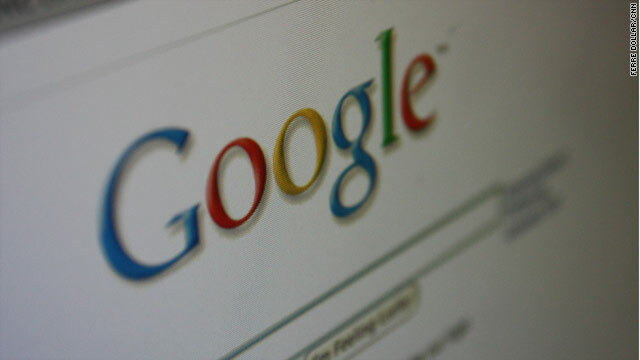 As many as 150,000 Gmail users have been confronting that scary scenario throughout the past day. Madoff says his victims were 'greedy': Of his burned investors, Bernard Madoff reportedly said, "Now if you listen to [them], they're living out of Dumpsters and they don't have any money, and I'm sure it's a traumatic experience to some, but I made a lot of money for people." Victims fire back, calling Madoff a monster, a liar and a thief. 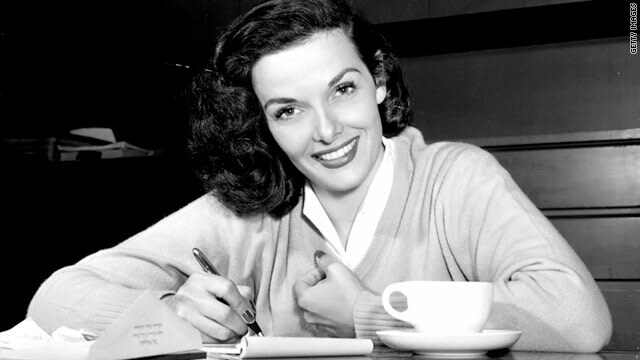 Fifties movie bombshell Jane Russell died Monday morning at her home in Santa Maria, California, her family said. She was 89. Daughter-in-law Etta Waterfield told CNN that Russell was a "pillar of health" but caught a bad cold and died of respiratory difficulties. Her children, Thomas K. Waterfield, Tracy Foundas and Robert "Buck" Waterfield," were at her side, Etta Waterfield said. 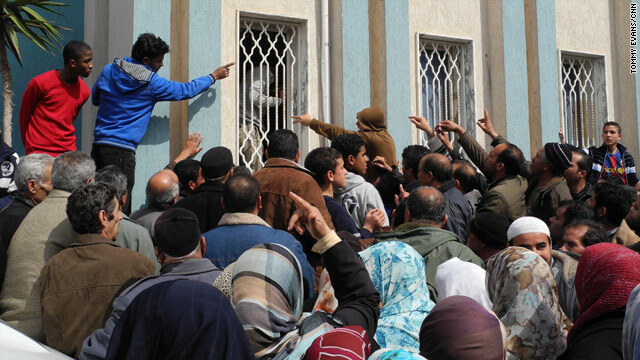 Libyans gather outside a Tripoli bank on Monday to collect promised payments of $300 each from the Gadhafi government. Across the Middle East and North Africa, CNN's reporters and iReporters are covering protests, many of them inspired by revolts in Tunisia and Egypt that toppled those countries' longtime rulers. Check out our story explaining the roots of the unrest in each country and full coverage of the situation in Libya. Have a story to tell from the scene? Click here to send an iReport. CNN's Fareed Zakaria breaks down what the movements toward democracy mean. [LIBYA, 8:30 p.m. ET Monday, 3:30 a.m. local] After United Nations Secretary-General Ban Ki-moon met with U.S. President Barack Obama on Monday about possible measures to take regarding Libya, Ban told reporters that "further action may well be necessary." Gadhafi "has lost his legitimacy when he declared war on his people," Ban said of the Libyan leader. "This is again a totally unacceptable situation. I sincerely hope and urge him to listen to the peoples' call. That's my message to him." American officials slapped sanctions on Libya on Friday, and the U.N. Security Council unanimously adopted a resolution on Libya on Saturday. [LIBYA, 6:59 p.m. ET Monday, 1:59 a.m. local] The Libyan ambassador to the United States, Ali Suleiman Aujali, tells CNN that his countrymen have long regarded Libyan leader Moammar Gadhafi as crazy, but that Libya has had no alternative to his rule until now. Aujali's comment came after he reacted to Gadhafi's interview with ABC News and the BBC, in which Gadhafi said Libyans love him and want to protect him, and that the uprising that led him to lose control of Libya's second-largest city was completed by al Qaeda, not the Libyan people. 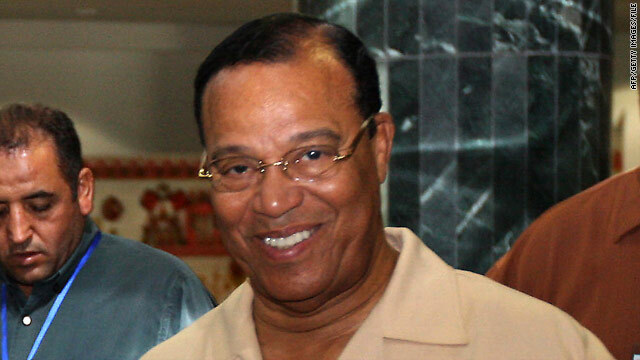 "I think this man lost touch with reality," Aujali told CNN's Wolf Blitzer on Monday evening, in reaction to Gadhafi's interview. "He doesn't want to realize there are thousands of people protesting against him. He doesn't want to realize that thousands of people have been killed by his soldiers, by citizens of other African countries." Blitzer remarked that Aujali has said that he has worked as a diplomat for Gadhafi for 40 years, and asked Aujali whether he realized during those 40 years that Gadhafi was crazy. "Well, I think we realize that he's crazy, but we have no alternative. We have no ways to get rid of him until now, when the people" responded to the Egyptian and Tunisian revolutions with a revolt of their own," Aujali said. Phillip and Nancy Garrido are accused of holding Jaycee Dugard captive for nearly two decades. Philip and Nancy Garrido have confessed to their role in the kidnapping of Jaycee Dugard, the woman's court-appointed attorney, Stephen Tapson, told reporters Monday. 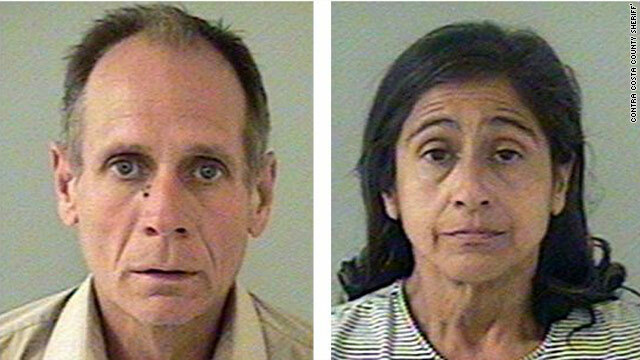 The northern California couple is accused of abducting Dugard when she was 11 years old and holding her captive for 18 years. David and Tiffany Hartley were riding personal watercrafts on Falcon Lake when David was killed, police say. Two additional suspects have surfaced in the fatal shooting of an American man on the Mexican side of Falcon Lake last September, Zapata County Sheriff Sigifredo Gonzalez told CNN. David Hartley was with his wife on Falcon Lake when assailants shot him in the head. Tiffany Hartley told authorities her husband was shot in the head, and she was unable to haul his body onto her personal watercraft before being forced to flee. 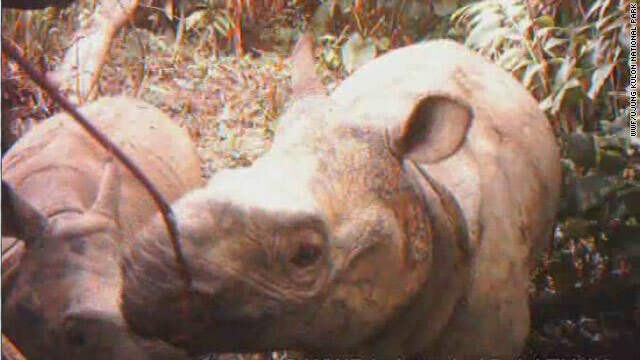 A mother and male Javan rhino calf are shown in this image taken from video shot in December. Remote video cameras in Indonesia's Ujung Kulon National Park have photographed images of two Javan rhino calves, bringing new hope for a species thought to number no more than 50 in the wild. The calves, one male and one female, were recorded in November and December in the park in southwestern Java, the World Wildlife Fund-Indonesia said Monday. The two calves bring to 14 the number of calves identified in the park in 10 years, according to the organization and park authorities. A mini-van accidentally drives through a coffee shop store front. Minivan leaves Venti-sized hole in coffee shop – The owners of a Massachusetts coffee shop have never been happier for a slow morning. Late last week, a woman accidentally turned Mary Lou’s coffee shop into a drive-thru business, sending the smell of fresh brewed coffee wafting into the parking lot. 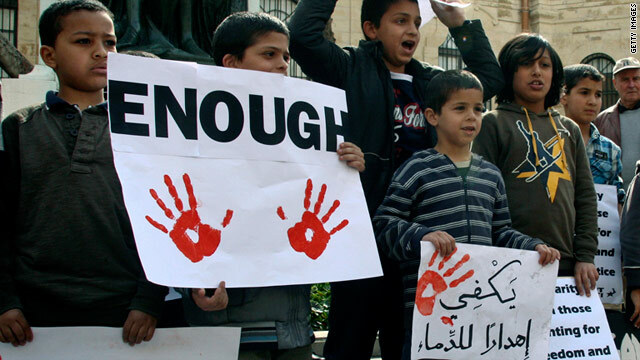 Children in Malta protest Libya's Moammar Gadhafi on Sunday. Malta has been at the center of evacuations from Libya. 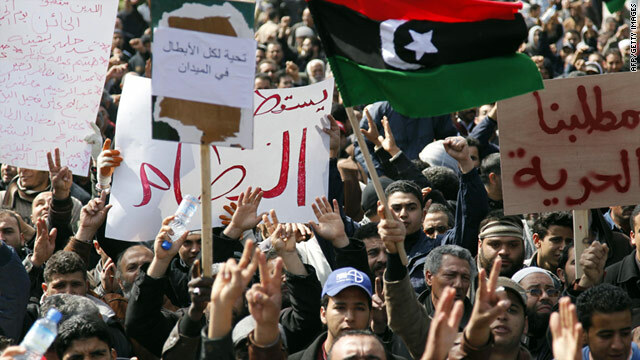 Libya - It's Day 14 of a massive, and often violent, uprising to force Libyan dictator Moammar Gadhafi to step down. CNN's Nic Robertson has been in Zawiya, a town about 40 miles from Tripoli, and watching as crowds of Qadhafi opponents grow. Gadhafi clings to power despite members of the country's security forces deciding to defect and join the protesters over the weekend. Abdullah Alzubedi, Libya's ambassador to South Africa, told journalists Monday that Gadhafi should leave office and that he would not continue to work for Gadhafi if the leader survives the popular uprising. But Alzubedi said he will not quit despite resignations by other Libyan officials because he said he must "serve the needs of Libyans living in South Africa and help South Africa evacuate its citizens." A 4.7-magnitude earthquake struck central Arkansas just after 11 p.m. Sunday (12 a.m. 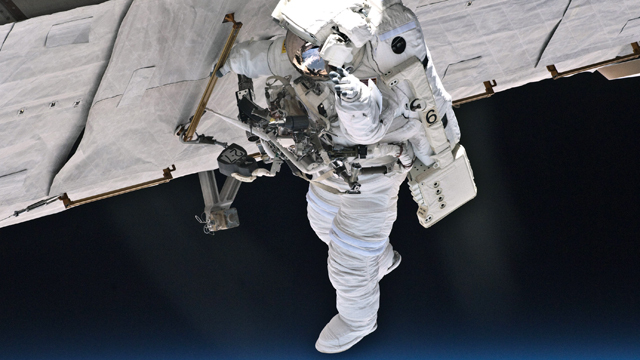 ET Monday), the United States Geological Survey said. The quake's epicenter was 37 miles from Little Rock, Arkansas, USGS said. CNN affiliate KARK received calls from a number of viewers who reported feeling the impact of the quake and seeing items on their walls shake. More than 700 quakes have hit central Arkansas since September. Why is Arkansas having so many quakes? Scott M. Ausbrooks of the Arkansas Geological Survey tells KARK's Gary Dee the latest quakes are on a previously unknown fault. Filed under: Arkansas • U.S. Girl Scouts, seen here near Atlanta, smile despite challenging times during cookie season. It's hard out there for a Girl Scout. 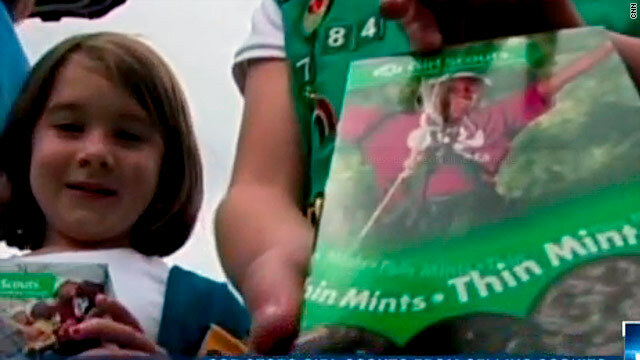 After someone complained about a Savannah, Georgia, troop selling cookies at a busy intersection in town, the city forced the girls to move away from the money-making location, according to the Savannah Morning News. The demand to move broke decades of tradition because that corner - Oglethorpe Avenue and Bull Street - is in front of the historic home of the founder of the Girl Scouts organization, Juliette Low. Savannah zoning administrator Randolph Scott said the problem was that the girls were setting up their sale table on a public sidewalk, which violates a city ordinance, the Morning News reports. Scott tried to help, calling for a survey in the hopes that the property line near the home had private space. No such luck. Watch CNN.com Live for continuing coverage of the crisis in Libya. 9:30 am ET - Wartime contracting hearing - The Commission on Wartime Contracting looks at the effectiveness of efforts to hold contractors in Iraq and Afghanistan accountable for problems with their work. 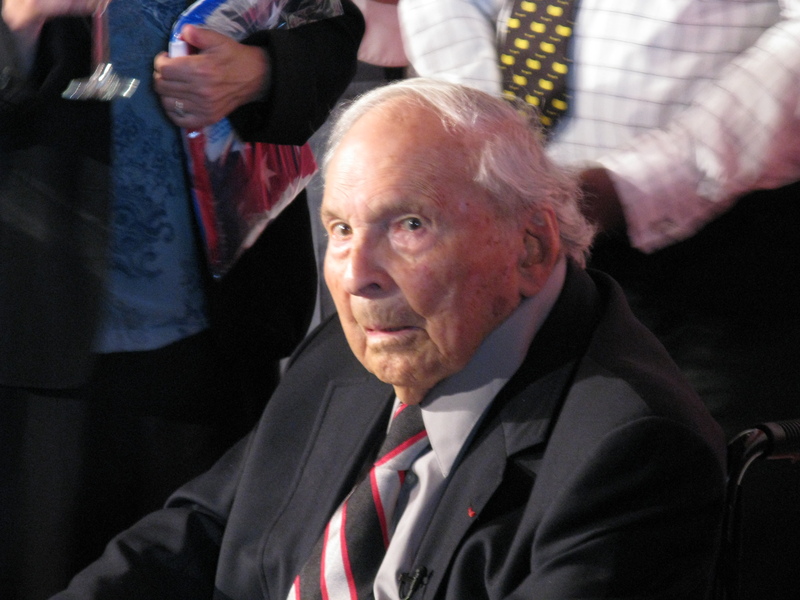 Frank Buckles, the last U.S. World War I veteran, died in his home of natural causes early Sunday morning. I never met Frank Buckles, the last American veteran of World War I, who died at 110-years-old in his sleep early Sunday at his farm in West Virginia. My professional interest began many years ago when my wife, then a producer at CNN, worked on a project about centenarians and brought home the newspaper of an organization for World War I veterans and their families. On the personal side, my mother’s father trained as a pilot at Kelly Field in Texas but never deployed, while my father’s father served in the American Expeditionary Force in Europe, likely inhaled poison gas and served as the allied military’s legal authority in a sector of Germany (an experience he wrote about for The Sunday New York Times Magazine). Among those most keenly devoted to the surviving doughboys has been David DeJonge, a portrait photographer from Grand Rapids, Michigan, who devoted countless hours to photographing World War I veterans and bringing attention to their stories. In recent years, DeJonge accompanied Buckles to the White House, the Pentagon, the Capitol and a small, tree-shrouded memorial to the World War I troops from the District of Columbia on the National Mall in Washington, D.C.
Others with this particular bent have included a now-retired employee of the Veterans Administration, who patiently answered my questions when it came time for my annual note on the numbers of living veterans from America’s wars; the woman who worked for another federal agency full-time but who, on her own time, ran that organization for WWI veterans until their ranks were reduced to only a few dozen; and the radio producer from Texas, who recorded interviews with several of the last survivors for a public radio special narrated by Walter Cronkite. DeJonge is among those publicly advocating creation on the National Mall of a national memorial to World War I. Just last week in West Virginia, he announced creation of the National World War I Legacy Project, which will include a documentary DeJonge is producing about Buckles titled “Pershing’s Last Patriot.” Buckles, who enlisted at 16 and saw duty in England, France and Germany, took this cause seriously, wanting recognition not for himself but for all of those who served in that conflict. I have written before that if we honor those who served in World War II, Korea and Vietnam on the National Mall, then similar recognition is due those of the 20th century’s first major war. After years of decay, at long last the existing monument to the World War I troops from the District of Columbia is being cleaned up. To create a national monument, I’d like to see it expanded, perhaps with figures of soldiers peering over a trench, bayonets fixed and gas masks at the ready, ready to charge over the top. 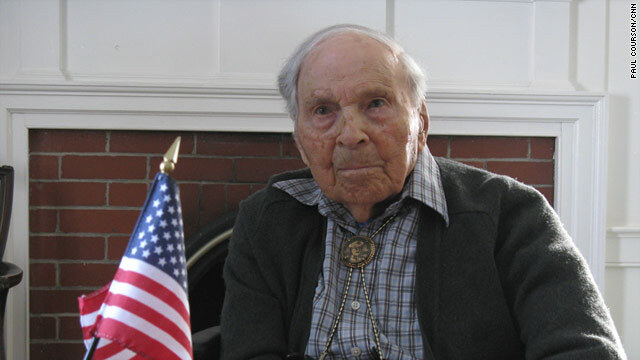 Unfortunately, Frank Buckles did not live long enough, not even nine decades after the war ended, to see honor properly paid to his comrades. Now that he has passed, let that honor be paid in memory of this patriot. spokesman for his family said Sunday. He was 110. Buckles "died peacefully in his home of natural causes" early Sunday morning, the family said in a statement sent to CNN late Sunday by spokesman David DeJonge. daughter Susannah Buckles Flanagan, who lives at the family home near Charles Town, West Virginia. A magnitude-6.0 earthquake has struck Chile, with no immediate reports of damage or injury. 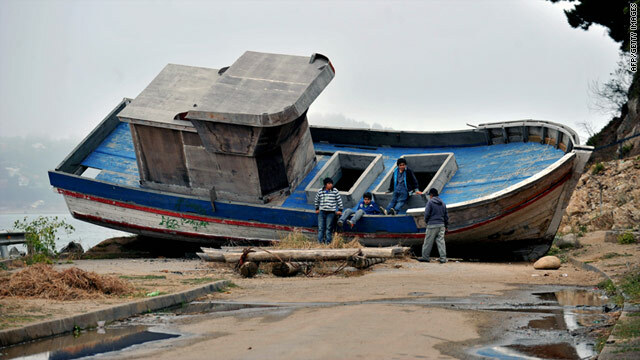 An 8.8-magnitude quake in 2010 killed more than 500 people and grounded this fishing boat. Repairs from that quake have cost nearly $30 billion and left many homeless. A 6.0-magnitude earthquake struck Chile on Sunday evening, the U.S. Geological Survey said. It was centered 23 miles south of Concepcion, in southern Chile. The quake, which struck at a depth of 10 miles, occurred on the one-year anniversary of an 8.8-magnitude temblor that killed 521 people and left thousands homeless in the South American nation. U.S. Secretary of State Hillary Clinton will be in Geneva, Switzerland, on Monday for a meeting of the U.N. Human Rights Council to discuss the next steps regarding Libya, whose government is accused of using lethal force against its people since massive protests erupted in its second-largest city in mid-February. About 1,000 people reportedly have been killed in clashes involving protesters and security forces loyal to Gadhafi. Witnesses say several Libyan cities, especially in the east of the country, are in opposition control after days of protests inspired in part by demonstrations that toppled leaders in Tunisia and Egypt. Reports suggest that about 100,000 people in Libya have fled to Egypt and Tunisia in the past week. Protesters in the Libyan city of Zawiya on Sunday. [LIBYA, 8:50 p.m. ET, 3:50 a.m. local] Libyan leader Moammar Gadhafi has criticized a resolution that the U.N. Security Council passed against his regime, telling private Serbian station Pink TV by phone that council members "took a decision based on media reports that are based abroad." He added, "If the Security Council wants to know about something, they should have sent a fact-finding committee." The resolution, passed over the weekend, includes an arms embargo, an asset freeze and travel bans for Gadhafi and members of his family and associates. [GAZA, 3:41 p.m. ET, 10:41 p.m. local] A Palestinian militant was killed in east Gaza Sunday in an Israeli air strike, according to Palestinian medical and security officials. An Israel Defense Force spokeswoman denied that such an attack took place. [EGYPT, 2:53 p.m. ET, 9:53 p.m. local] Officials say the Egypt Stock Exchange plans to open on Tuesday. The markets have been closed since January 27. [LIBYA, 1:45 p.m. ET, 8:44 p.m. local] The British government said Sunday it is freezing the assets of Libyan leader Moammar Gadhafi, members of his family, and those acting on their behalf. [LIBYA, 9 a.m. ET, 4:15 p.m. local] Protests are picking up in Libya's western city of Zawiya with former security forces who said they have switched sides and joined the opposition. About 150 people rallied outside the town in support of Gadhafi later on Sunday, in what appeared to be a hastily organized demonstration. CNN later saw a second small pro-government rally that may have been organized for the benefit of international journalists. The crisis in Libya is affecting oil prices, and how much Americans pay at the pump. To better understand why, CNN gets an explanation from an oil analyst. The United Nations Security Council unanimously approved a draft resolution to impose sanctions against Libya amid escalating attacks on anti-government protesters in the north African country. The resolution draft includes an arms embargo, asset freeze and a travel ban. It also refers Libya to the International Criminal Court. [YEMEN, 12:14 p.m. ET, 8:14 p.m. ET local] Thousands of people are protesting outside Sanaa University demanding that President Ali Abdullah Saleh resign. Representatives said the youth-dominated sit-in will not budge until he leaves. On Saturday, leaders of two prominent tribal groups, the Hashid-dominated National Solidarity Council and the Baqil tribe, said they would send members to join the protests calling for Saleh's resignation. Time magazine weighs in on how long the protests in Yemen might last. [TUNISIA, 11 a.m. ET, 5:18 p.m. ET local] Prime Minister Mohamed Ghannouchi's resignation Sunday came a day after three people were killed during protests in the capital, Tunis. "I am resigning today because I am not willing to be a person that takes decisions that could cause casualties," he told reporters Sunday. He also questioned "why a lot of people considered their main target to keep attacking the government, although a lot of its members agreed to join in this critical time." [TUNISIA, 10 a.m. ET, 4:21 p.m. local] The prime minister of Tunisia has stepped down from the interim government, according to the country's official news agency. [OMAN, 9 a.m. ET, 6:10 a.m. local] At least two protesters were killed and about 10 injured during clashes between protesters and police in the Omani industrial town of Sohar, according to reports from state media and Oman TV editor Asma Rshid. "The police shot them because they burned shops and cars in Sohar," Rshid said. Another source said police fired rubber bullets. A number of police had also reportedly been injured, but CNN has not been able to confirm how many. [TUNISIA, 9:12 p.m. ET, 3:12 a.m. local] Protests in Tunisia turned violent and deadly Saturday, just over six weeks after a popular uprising forced the president out of office, and lit a spark of desire for democratic reform in parts of Africa and the Middle East. Three people were killed Saturday and nine others injured during mayhem in the capital, Tunis, according to a Interior Ministry statement cited by the state-run news agency, Tunis Afrique Presse (TAP). More than 100 people were arrested, the ministry said, in the area around Habib Bourguiba Avenue, in the city's center, accused of "acts of destruction and burning." [LIBYA, 4:58 p.m. ET, 11:58 p.m. local] City councils in areas no longer loyal to Moammar Gadhafi have chosen former Justice Minister Mustafa Abdul Jalil to head an interim government which will represent all of Libya, according to Amal Bogagies, a member of the February 17 Uprising coalition, and a separate Libyan opposition source. [LIBYA, 4:40 p.m. ET, 11:40 p.m. local] President Barack Obama, in a statement issued Saturday after reports that forces loyal to Libyan leader Moammar Gadhafi had fired on civilians, said "that when a leader's only means of staying in power is to use mass violence against his own people, he has lost the legitimacy to rule and needs to do what is right for his country by leaving now." The White House statement was issued after Obama spoke with German Chancellor Angela Merkel. [BAHRAIN, 9:37 a.m. ET, 5:37 p.m. local] Exiled opposition leader Hassan Mushaima has arrived back in Manama, Bahrain. Mushaima, leader of the Haq Movement, had told followers earlier in the week that he had been detained in Beirut, Lebanon. [YEMEN, 2 a.m. ET, 10 a.m. local] Four people were killed and 26 wounded in clashes Friday night between anti-government protesters and security forces in southern Yemen, medical officials in Aden said Saturday. A scene from the documentary "Gasland." 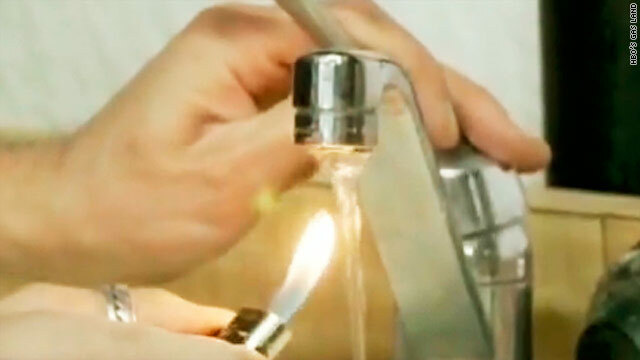 A man who lives in Colorado sticks a lighter under his kitchen faucet. He places the flame into the streaming tap water, and a ball of fire leaps up, nearly burning him. "This is something we did over and over again in gas drilling areas," said documentary filmmaker Josh Fox. His movie "Gasland," nominated for an Academy Award, contains interviews with people from across the United States who say a new form of natural gas drilling has threatening consequences. Oscar-nominated actor Mark Ruffalo has joined Fox. Ruffalo lives in New York, which began to take a close look at fracking last year. An animation of the fracking process, and the stories of people who say it is ruining their lives, can be found in CNN's special coverage on the issue. Read more about documentaries nominated for a golden statue Sunday.